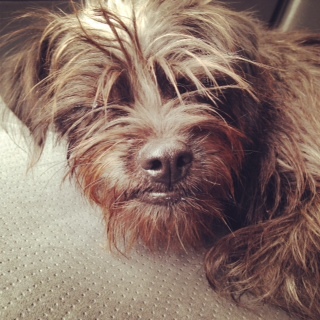 Chewy is always wordless on Wednesdays. As long as he’s near mama, it’s all good. 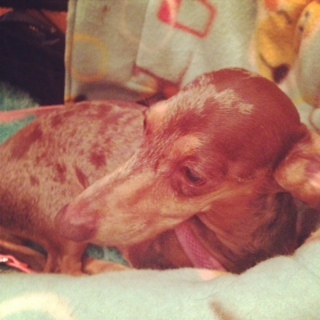 Blog Paws hosts a Wordless Wednesday blog hop each week. This week I’m really playing along. I want to tell y’all all about the Blog Paws conference, but I haven’t recovered from it yet, and haven’t read through my notes. There were some great advanced classes, and plenty of wonderful people and critters. 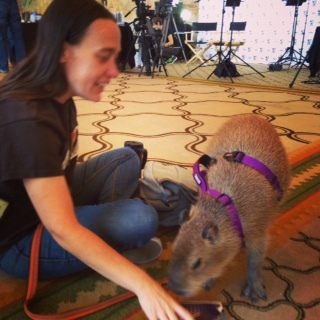 Including the darling Capybara, Mia. But today I’m all about the photos. I didn’t take notes, but I’m pretty sure Mia’s mom said that capybaras live about 20 years, that she’s only about a year old and has a lot of growing left to do, and that she’s pretty well house broken. 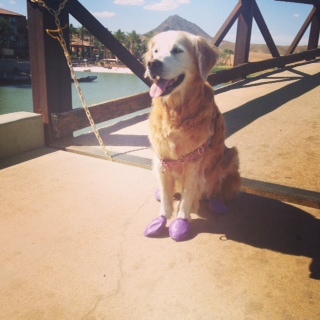 Her fur is stiff and water resistant. And she makes the MOST adorable little sounds! No, I do not want one. The Cascadian Nomads are STUNNING dogs. Brychwyn’s eyes are a vivid blue. Huxley is a HUGE Collie. Wee Wilhelm seems to be the boss. 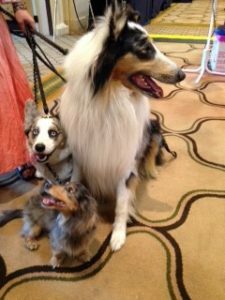 They’re gorgeous and sweet, very well-behaved. 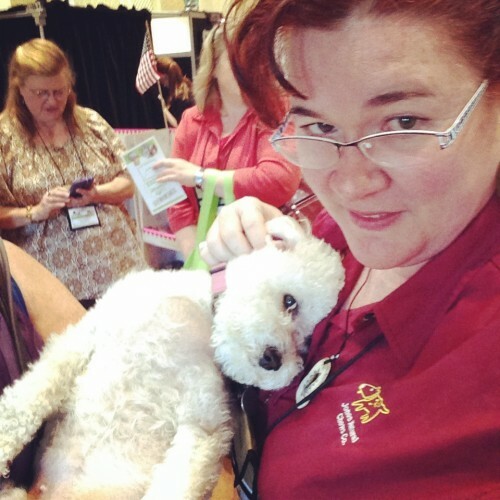 One of the pet psychic’s two Bichons is a hugger. You stand near and it flops its cute little head onto your shoulder. This is … no words. Gretel the hiking Dachshund was enjoying some stroller time. She and Chester are wonderful. Sugar, lovely and well-behaved as always, split an apple with me the last day. She loves her walks. Her mama and I trespassed to get to this bridge and this shot. None of us were hit in the head with golf balls, thankfully. 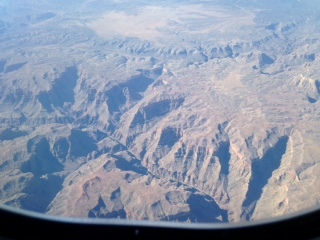 Flying over Arizona on the way home, I scored a window seat. So dry. So beautiful. 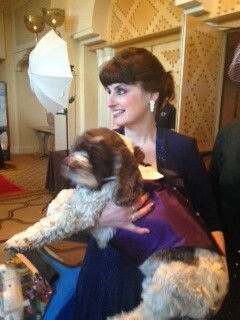 The lovely Carol Bryant and her Dexter before walking the red carpet. 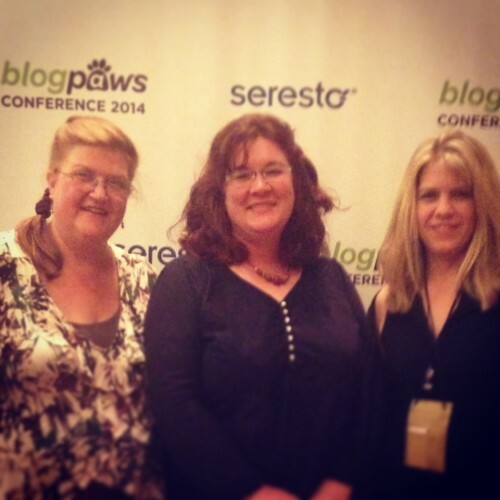 Carol is responsible for so much of what happens at Blog Paws. The Jones girls – I’m not technically a Jones, but it was fun to be one for a week. All of these photos have worn Chewy out. Poor dear. I think we’re going to take a nap, now. 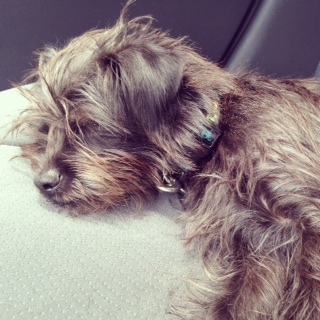 Happy Wordless Wednesday, everyone! Pop around and visit other blogs in the hop. Most of them do a better job than I at being wordless. Post by Jones Natural Chews, Co.